It wouldn’t be far-fetched to say that the Nintendo Switch is, at its core, the perfect console for multiplayer games. Not only does the portability play a key aspect, but the hardware itself allowed for couch co-op to gain a whole new meaning. 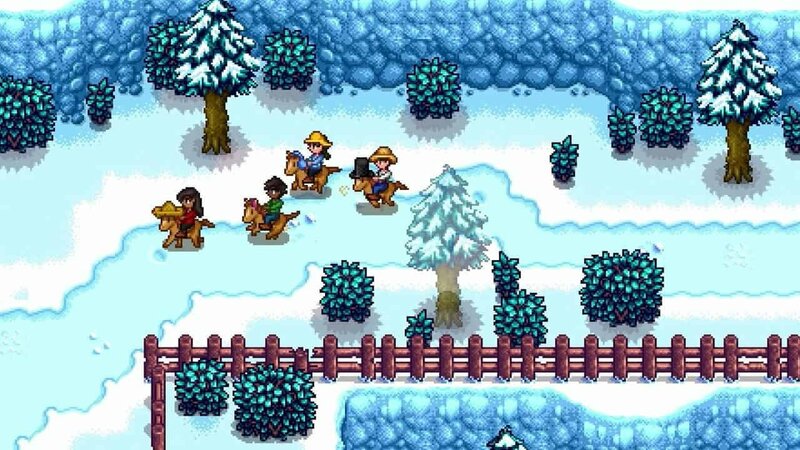 After a long wait, Stardew Valley can finally be added to the console’s ever-growing list of multiplayer joys. Ever since launch, Stardew Valley has found its home on Switch. With the ability to farm on the go and dock the system when longer tasks required it, Nintendo Switch players suddenly gave a whole new meaning to Stardew Valley’s core experience. With that said however, the community was quick to point out that the game would be more enjoyable when played with friends, something that developer Chuckle Fish was quick to admit. Originally only available for Steam users, Stardew Valley’s multiplayer update allows for two to four players to buddy up and experience the entire Stardew Valley slew of options in a whole new way. On December 13th however, this update will finally make its way on Switch, utilising the console’s dedicated voice chat and online offerings to offer a better experience between players. This isn’t all that is coming to the game through the December update however, as Polygon reported, single player fanatics will also be able to enjoy a range of new season appropriate changes such as a winter festival, character events and the most needed ability to give your horse a hat. Stardew Valley is a sandbox farming simulator that aims to re-invent the nostalgic Harvest Moon formula. The game is currently available on Switch, Xbox One, PSVita, PlayStation 4 and Steam and you can read our full review of this charming indie here.